WASHINGTON (CNS) — The farm bill that passed both houses of Congress by wide margins doesn’t have money in it to protect endangered species, but it did preserve one that had been on the threatened list: bipartisanship. “We were so excited that the Senate acted like grown-ups,” said Sister Simone Campbell, executive director of Network, a Catholic social justice lobby. Jim Ennis, executive director of Catholic Rural Life, was happy Congress acted relatively swiftly. This was the first time a farm bill passed without needing an extension of the expiring version since 1990, when George H.W. Bush was president. The Senate passed the farm bill in a 87-13 vote Dec. 11. The House passed it 369-47 Dec. 12. The bill was awaiting the signature of President Donald Trump. One point of contention between the original House and Senate versions was a provision in the House bill that would have imposed stricter work requirements for SNAP eligibility, with stretches of SNAP ineligibility growing longer each time a recipient failed to report their work, or looking for work, in a timely manner. The House ultimately removed that from its version of the bill. “We actually got most of the stuff that we wanted,” Sister Campbell told CNS in a telephone interview. 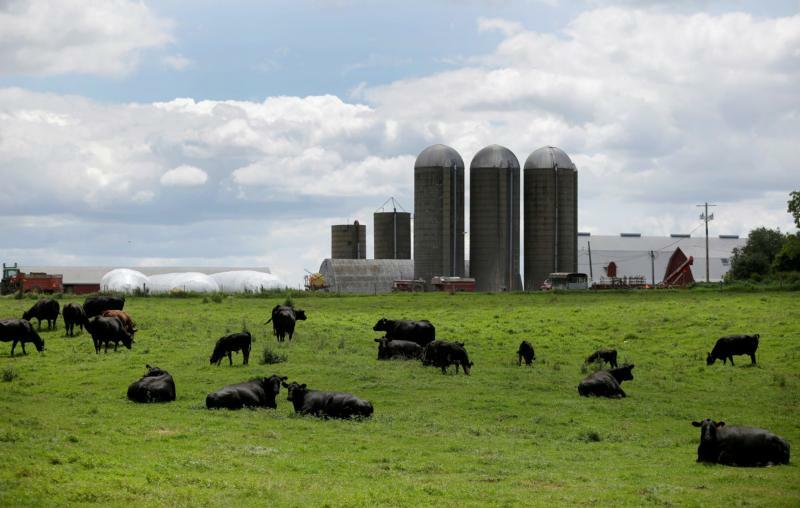 While she said she sees farm subsidies as “a little excessive,” the final bill “maintained pretty much the existing protections for farm runoff and the fertilizers used and that sort of thing. So I don’t have complaints on that side. Certainly, after what we were facing in the House, I’m certainly not complaining about the nutritional title. “They decided we can’t keep doing that to our farmers,” Ennis said of the extensions lawmakers passed in all the previous farm bills over close to the last 30 years. Dairy farmers, while they will see gradual opening of Canadian markets as sources for their goods under this bill, would be one focus of a future bill should one be submitted, Ennis said. Ennis said the future of family farms, with a focus on dairy farmers, will be the main topic in a future issue of Catholic Rural Life’s quarterly magazine. In a Dec. 12 statement, the Rev. David Beckmann, a Lutheran minister who is president of the Christian citizen anti-hunger lobby Bread for the World, praised the bill for its inclusion of added funding for employment and training pilot projects — including funding prioritizing specific populations such as older Americans, former prison inmates, people with disabilities and families facing multigenerational poverty. It also makes and funds a new program allowing health care providers to give prescriptions for low-income people to buy fresh fruits and vegetables. The farm bill eliminates a requirement in the federal Food for Peace program to sell U.S. food commodities overseas to pay for life-saving food and nutrition programs; the complicated requirement had been cutting about $70 million from food aid each year. The legislation also gives the McGovern-Dole Food for Education program more flexibility to purchase from local farmers and markets, which will improve the nutritional quality of the food for preschool and school feeding programs in foreign countries.